Ole' Dydd Gŵyl Dewi Sant was a 6th Century Monk and Bishop. He was a scion of the royal house of Ceredigion, his mother was Non, daughter of Cynyr of Caio, remembered by numerous churches and holy wells in Wales, Cornwall and Brittany. Educated at Henfynyw (Old Menevia), where he 'learned the alphabet, the psalms, the lessons for the whole year, the Masses and the Synaxis', he founded a Celtic monastic community at Glyn Rhosin (The Vale of Roses) on the western headland of Sir Benfro, at the spot where St. David's Cathedral stands today. His foundation at Glyn Rhosin became one of the most important shrines of the Christian world, and the most important centre in Wales. Roads and tracks from all over the nation led to it and in the Middle Ages two pilgrimages to Menevia was equal to one to Rome (Dos i Rufain unwaith, ac i Fynyw ddwywaith - Go to Rome once, and come to Monmouth twice). 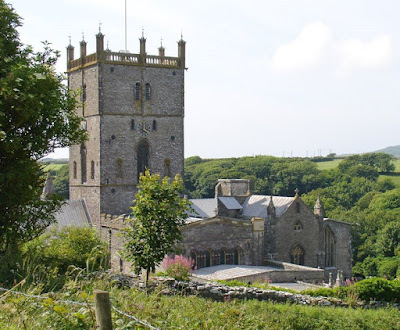 Over fifty churches and innumerable holy wells were dedicated to him in Wales alone. 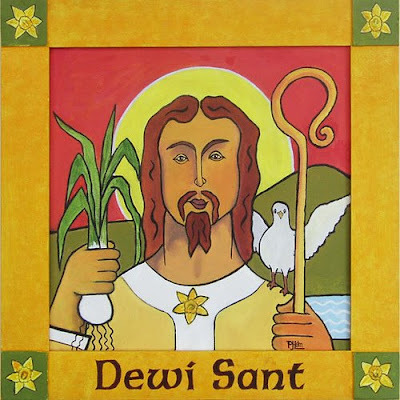 St David was recognised as a national patron saint at the height of Welsh resistance to the Normans. It is tradition to wear a leek and/or a daffodil in your lapel in honor of this day. I just wanted Sir Dayvd to know that I've been ready his book on the Kings & Queens of England, including the Welsh kings before the creation of Great Britain. 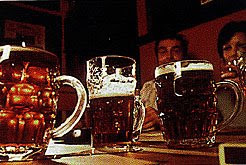 So raise a pint to Dewi Sant and say, "Iechyd da" (pronounced "Yacky dah"), which is Welsh for Good Health! raising my coffee cup and saying Yacky dah! actually don't get too bogged down in the pre - Norman stuff. :)) as i say anything after page 160 i think it was....is the stuff you need to know.